Gregory Henn business card showcases a cool artistic design by Ryan Clark of Invisible Creature. One of the things we love most about this business card is the clever use of negative space. 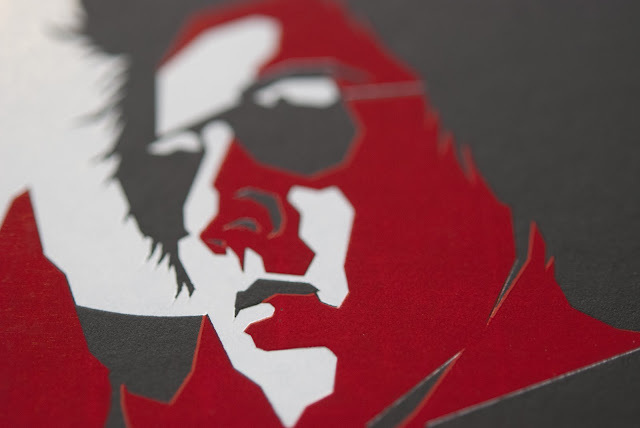 Clark did a great job incorporating red and white foil on 141# Black Curious Skin paper. By using bold shapes and color, the negative space utilizes the high contrast of the black paper to create a 3rd dimension. This design displays a perfect use of the chosen materials and print method. Ryan Clark says, of the design: "The inspiration was old movie posters with a modern twist". Well done! For those of you who do not know, the School of Visual Concepts graciously hosts an Annual Wayzgoose Celebration. 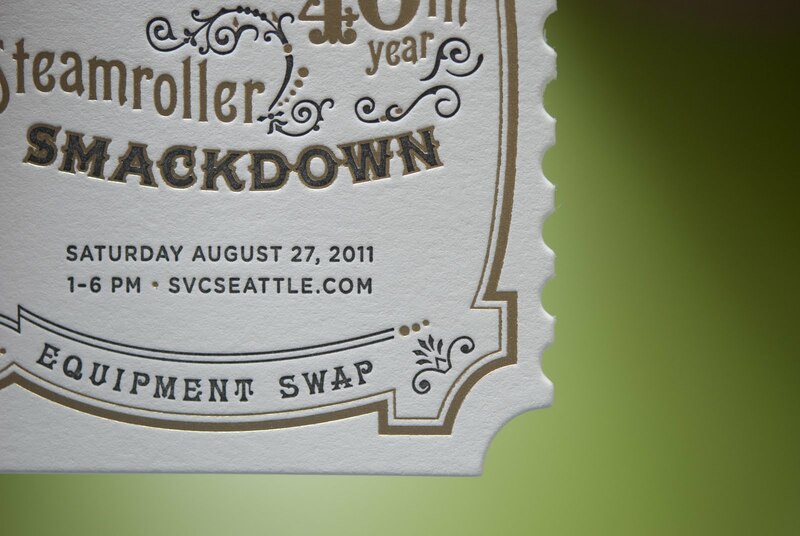 Events in the past have included a Letterpress Equipment Swap, tables of letterpress deliciousness for sale, and –the MAIN EVENT- a Steamrolling Smackdown Print Extravaganza! Much to our joy, we just completed the coveted SVC Wayzgoose invitations. Letterpress printed, gold foiled and diecut to a vintage ticket shape all on luscious Reich Savoy 236# Cotton.